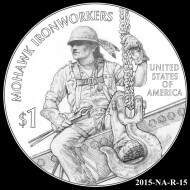 By Darrin Lee UnserThe Mohawk Iron Workers theme is the latest in a series of annually changing reverses going back to 2009. 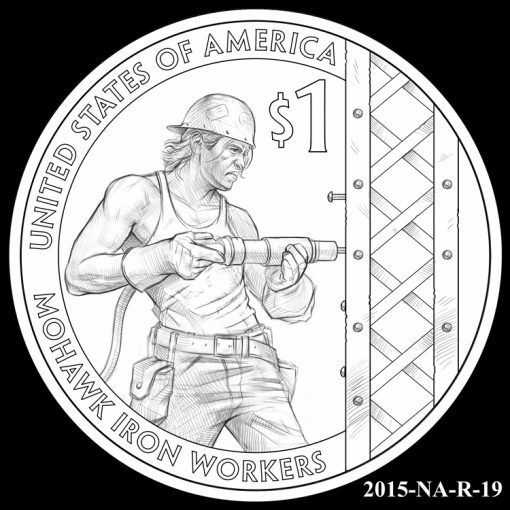 The series celebrates the important contributions made by Indian tribes and individual Native Americans to the history and development of the United States, and it was authorized by the Native American $1 Coin Act, Public Law 110-82. 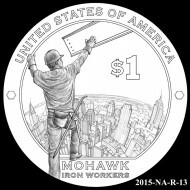 Mohawk Iron Workers describe the Mohawk people who helped construct skyscrapers and bridges throughout the United States. Their iron worker history dates back to the 1880′s when they labored to build a bridge over the St. Lawrence River. Their work ethic and sure footing demonstrated on that bridge gained them a respected reputation which has led to generations of Mohawk Iron Workers. 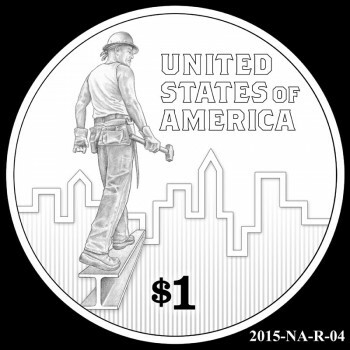 Side note: I was wondering how the Mint would "commemorate" events from the early 1800s to the 1930s. You know, from the War of 1812 to the boarding-school era, when the greatest Native achievement was surviving the land thefts and military onslaughts. And now we have an answer: by skipping them! 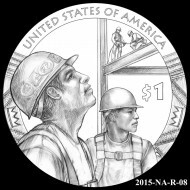 By Les PetersDuring a meeting held on March 10th, 2014 at the U.S. Mint's headquarters in Washington, D.C., the Citizens Coinage Advisory Committee reviewed and discussed the reverse designs for the 2015 Native American Dollar. The preferences of the stakeholders were designs 8 (Congressional Native American Caucus of the House of Representatives and the National Congress of the American Indian), 13 (National Congress of the American Indian and the Senate Committee on Indian Affairs), and 15 (Senate Committee on Indian Affairs). The only one of these that made my list was 13, the middle one. But the committee liked design 4, so it authorized some changes:The last was a twist, asking to set aside the 1-point margin that design 13 was given and instead recommend design 4, with the inclusion of an expansion of the second motion, changing the font throughout the design to the 2009-2012 style: this motion passed on a 6-2 vote, thus making design 4 the committee's recommendation.